The idea behind farm-to-table restaurants is an attractive one. On the surface, chefs promise to provide consumers with better quality food while supporting small farmers and the local economy. It is a term that makes you feel good about the food you are eating. But since the term “farm-to-table” exploded on the restaurant scene in the early 2000’s, there are some who have tried to capitalize on the trendy movement. They slap the label on their menu without putting in the effort. The reality and cost of sourcing local food, depending on location, makes it difficult for many restaurants to be 100 percent farm-to-table. Jac Oliver, co-owner of Swamp Rabbit Cafe and Grocery, recommends a healthy dose of skepticism when looking for a place to eat. There is no organization that monitors the authenticity of farm-to-table claims. Some restaurants feature their farmers on their website or menus. But this is not always the case. If you are really looking for a restaurant that uses local ingredients, be prepared to do some of the legwork yourself. These three restaurateurs spoke about the unique challenges that come with running a farm-to-table establishment and the relationships they have established with their suppliers. For Chef Marion Ohlinger, part of owning a farm-to-table restaurant means establishing a relationship with the people who provide the ingredients for his dishes. Cheryl and Charles DeBerry met Ohlinger through the Morgantown Farmers’ Market. “He, as a chef, took the initiative to come to the farmers market to buy food for his restaurant,” Charles DeBerry said. Throughout their decade-long relationship, the DeBerrys have supplied fresh produce for two of Ohlinger’s restaurants. Ohlinger’s interest in opening a farm-to-table restaurant began in the late 1990s on the opposite coast. He was working in Seattle the first time he came across Herbfarm. Ohlinger, a twelfth-generation West Virginian, could not recall seeing a restaurant that placed such an emphasis on using local ingredients back in his home state. When Ohlinger and his wife, Alegria, returned to West Virginia in 2003 to open their own restaurant, the farm-to-table movement was practically nonexistent in the area. Restaurants may have been using local ingredients in their food, but they were not advertising it. 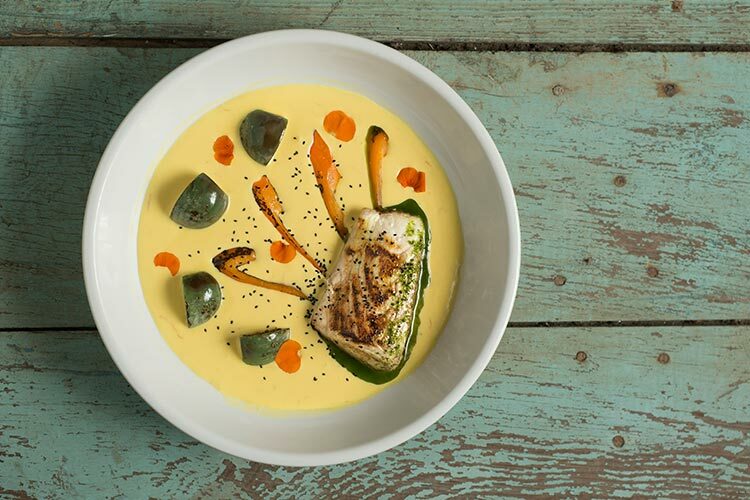 The first place the couple opened, Solera, was a Spanish-Latin American restaurant in Morgantown, W. Va. The business was successful, but Ohlinger kept thinking back to his experience in Seattle. In 2009, the Ohlingers decided to transition their restaurant into the Richwood Grill, an all-out farm-to-table establishment. The change coincided with the 2008 economic collapse during which Ohlinger said he became disillusioned by the corporate greed that he saw as rampant among corporations. Ohlinger committed himself to using fresh, local ingredients in all of his dishes. He refused to sell commercial drinks like Coke or Pepsi to his customers, only offering organically made sodas. But the challenges that came with running a full-time farm-to-table restaurant began to take their toll. Ohlinger said people would walk out of the restaurant when they learned they didn’t carry Diet Coke. He struggled to find local farmers who were selling the products he needed. The ingredients he used each day depended on what was growing that season. The lack of a consistent and constant supply made it difficult to replicate the same menu every day. When the Ohlingers learned they were expecting their second child, they realized that the 60 seats at the Richwood Grill would no longer be enough to sustain their growing family. When the space they were renting was bought out from under them, they were forced to find a new location for their expanding operation. In 2016, they opened Hill and Hollow. Located beside the Monongahela River in Morgantown, Ohlinger describes the restaurant as modern Appalachian, a fusion of traditional Appalachian dishes and cuisine from around the world. Although still farm-to-table, he is a little more flexible about the realities of sourcing local products while still producing a consistent menu. While Ohlinger still offers the organic sodas, he now carries Coca-Cola products because it is cheaper and that is what his customers want. Ohlinger estimates that the restaurant is about seventy-five percent farm-to-table in the spring and summer and closer to thirty-three percent in the winter. He said he is honest about this reality with his customers. While Ohlinger relies on larger distributors for a consistent cut of meat or produce out of season, he still tries to use local ingredients, within 150 miles, or regional ingredients, within 300 miles, as much as possible. Located 48 miles from Hill and Hollow in Oakland, Md., DeBerry Farm Fresh Produce is just one of the local farms Ohlinger buys from. The DeBerrys typically sell to other restaurants and stores through Garrett Growers, a farmer’s cooperative that helps connect local farmers with wholesale buyers. Although Hill and Hollow is outside of the cooperative’s delivery zone, Ohlinger picks up his order directly from the Morgantown Farmers Market because of the relationship he cultivated. “We love working with restaurants and being able to send customers to certain restaurants where they can eat our food,” Cheryl DeBerry said. What started out as a cafe and grocery now includes a bakery, pizzeria, and butchery. All of the food is made in-house with the same products sold in the grocery. They host cooking classes in the evenings and monthly dance parties to benefit local charities. 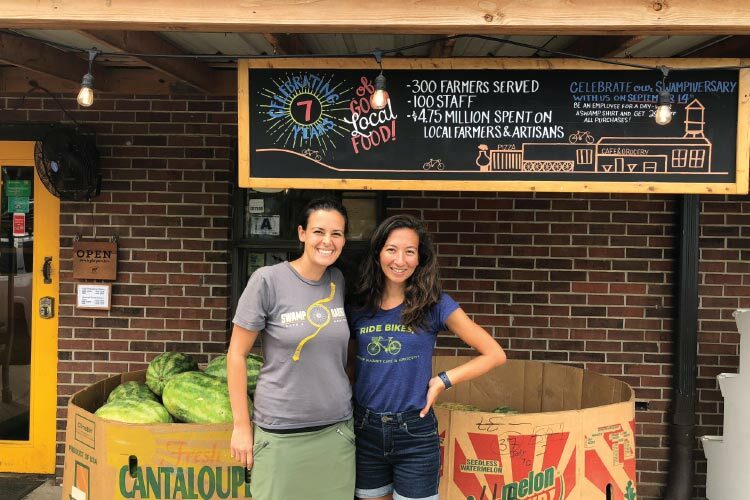 If that was not enough to keep Oliver and her co-owner, Mary Walsh, busy, Swamp Rabbit is also a food hub that helps local farmers distribute their products to other restaurants and stores around the region. Margie Levine, owner of Crescent Farm, sells her organic produce to Swamp Rabbit. Her vegetables may be used in the salads sold in the café, the pogachas sold in the bakery, or stocked on the grocery shelves. In college, Oliver majored in biology and Walsh majored in engineering. They met working at a conservation non-profit and started talking about their shared interest in food. 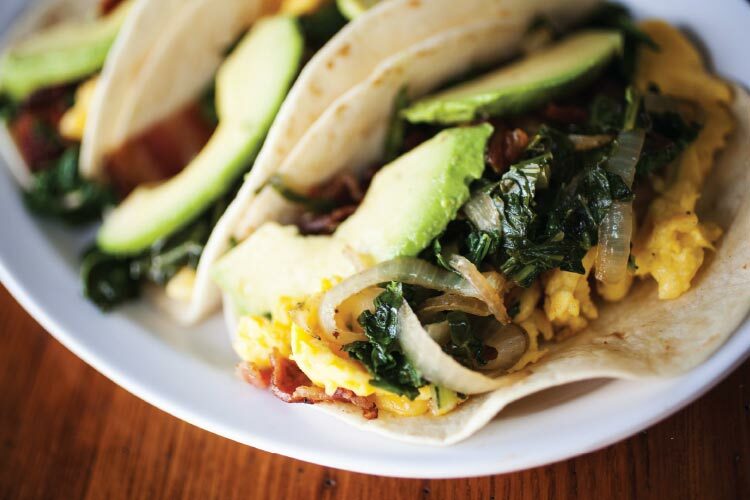 In 2011, the duo quit their jobs to open the Swamp Rabbit Cafe and Grocery. Named for the 22-mile multi-use trail that runs behind the building, the owners of Swamp Rabbit encourage patrons to “Eat Local and Ride Bikes.” They wanted to create a place where patrons could bike or walk to buy groceries. Swamp Rabbit received the gold level Bicycle Friendly Business designation from The League of American Bicyclists in 2018. Oliver said they source from over 300 local vendors, farmers, and artisans to stock their cafe and store. She qualified that they sometimes struggle to find a reliable local producer of certain items. They have yet to find anyone locally who makes butter. In all that they do, Oliver said they try to keep the cost down for their customers. Farm-to-table restaurants have a reputation for being more expensive because of all the time and effort that goes into finding local products. Clinton and Jesse Pace, owners of Southern Berkshire Farm, sell their chicken, eggs, turkey, and pork to Swamp Rabbit. Their meat might be turned into breakfast links in the cafe or pork sold in the butchery. Clinton Pace said that selling through Swamp Rabbit’s food hub has allowed them to spend less time traveling to farmers markets. This is part of the reputation that Oliver and Walsh cultivated as they established and expanded Swamp Rabbit. Oliver said they try to be as environmentally conscious as possible. They repurposed an abandoned building into their retail space. Their ingredients come from sustainable farms that are committed to being good stewards of the land. The leftover food from the grocery may be used in their cafe dishes or donated to local foster families. For the owners of Swamp Rabbit, this is what it means to be a part of a local community. As the latest buzzwords, labels, and trends are thrown around in the restaurant industry, Aaron Brouwer is more concerned with the actual practice. In fact, he does not consider Red River Rockhouse a true farm-to-table restaurant. “There are some places where every single thing is grown on the premise. If you are that person, doing it to the nth degree, that’s great,” he said. But for Brouwer, that level of commitment is not realistic for someone trying to support a seasonal staff and a family. Like many restaurant owners have found, it is rare to find local farmers who are growing the right products year-round and in the right amount without constantly changing the menu. “No one is growing 1,500 pounds of potatoes a week,” Brouwer said. Brouwer never planned to open a restaurant. He was a self-described jack-of-all-trades. He spent some time working as a park ranger in Yosemite National Park and then was a professional photographer with his wife, Tina. He worked in restaurants to make money but had not thought about running his own. “I was doing whatever I could to fund rock climbing,” Brouwer said. 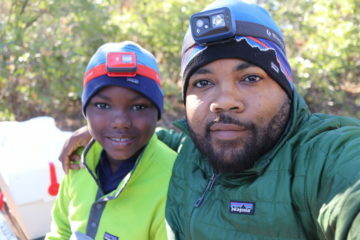 An avid rock climber, he spent a lot of time in the Red River Gorge. While the gorge attracts climbers from around the world, there were few eating options available nearby. When Brouwer saw the property where the Rockhouse is now, he knew it was the perfect place for a restaurant. He remodeled the whole building himself because he could not afford to hire anyone. Brouwer ultimately wanted to create a place where adventure enthusiasts could grab something to eat before or after a long day outdoors. 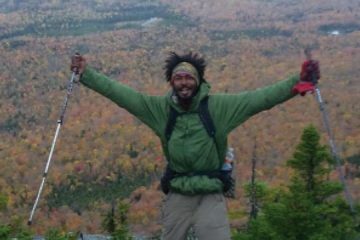 “I knew there was a high chance of success because I had my finger on the pulse of the outdoor community,” Brouwer said. Since the restaurant opened in 2011, climbing as a sport has exploded. All 20 of his employees, who are also climbers, spend their free time in the gorge. Brouwer said the Rockhouse serves burgers, burritos, and beer because “it’s kind of what everyone likes.” Because of where the restaurant is located in the Daniel Boone National Forest, he drives to each of the farms himself to pick up the food. Instead of trying to buy everything fresh from the farm, he focuses on where his animal-based ingredients are coming from and the amount of waste his restaurant produces. All of the protein he buys, including beef, poultry, and eggs, comes from free-range farms in the area that do not use antibiotics, steroids, or hormones. He is committed to buying products that alleviate animal suffering. “Everything lives and dies, but it shouldn’t have to suffer its whole life,” he said. Over the last seven years, Brouwer has developed a relationship with Will Muerer of Wholesome Living Farm. Muerer’s mission as a farmer aligned with Brouwer’s vision for the ingredients he wanted to use in his kitchen. At Wholesome Living Farm, Muerer is concerned with the consequences that human actions have on animals and the land. He warned that eating local does not always mean the farmers are using environmentally friendly practices. Brouwer is willing to pay the higher cost for ingredients at Muerer’s farm for the knowledge that those products are coming from someone who is consciously raising animals taking care of the land. He is also aware of how much food goes to waste, especially off supermarket shelves and in restaurant kitchens. Not every restaurant is this honest about where their ingredients come from. “There are a whole lot of people blowing a whole lot of sunshine about how hard it is,” Marion Ohlinger said. But the ones who truly care about the quality of their food and the quality of their customer’s experience recognize the importance of being open about the challenges that come with running a farm-to-table restaurant. For these restaurant owners, the farm-to-table model offers a sense of stewardship over the land that provides the food. There are regulations farmers must follow to become organically certified, but restaurants do not have to go through a similar process to claim the farm-to-table label. Without a universal set of criteria, customers will continue to rely on the restaurant’s word. Farm-to-table is not an affordable option for everyone. Menus change seasonally, sometimes weekly, depending on what ingredients are available. The additional time and effort adds to the price of the food. These organizations are working to make fresh and local food more accessible across neighborhoods, cities, and states. The driving force behind these mobile markets is that healthy food is a human right. After reading the Louisville Metro Health Equity Report, Karyn Moskowitz knew she wanted to do something. The report detailed how income, housing, education, transportation, community safety, and access to food affected the health and well-being of Louisville residents. Moskowitz, who grew up with regular access to fresh produce in upstate New York, had noticed the lack of resources in Kentucky. “I started to organize, which is what I know how to do,” she said. Moskowitz started New Roots based on the idea of cooperative economics. The community pools its money, paying on a sliding scale, allowing everyone the chance to buy the produce. Sixteen markets pop up every other week for 22 weeks across Kentucky and into Indiana. The shareholders work with the farmers to decide what to grow, volunteer at the markets, and attend Food Justice Workshops. New Roots also partners with larger companies, like Facilities Management Services, to host farmers markets for their employees. The market is set up at the office, allowing employees to shop during their lunch break. The corporations cover up to eighty percent of the cost. “Unless you have a lifestyle where fresh local produce is a part of your diet, it’s hard to know where to start,” Moskowitz said. The Urban Food Project started with three farmers selling their produce from the back of Taylor Clark’s car. Six years later, Clark manages a network of 40 farmers, 35 restaurants, and nine stores. The Birmingham-based food hub now has its own warehouse and refrigerated truck. The organization facilitates access to healthy food by connecting the farmers with local stores. The Urban Food Project is just one branch of REV Birmingham, an organization focused on revitalizing the city, neighborhoods, and businesses of Birmingham. The REVeal Kitchen is a space in the Pizitz Food Hall that offers a short-term lease for up and coming chefs to run their own restaurants. Residents can borrow one of the 400 bikes at 40 different locations around the city through the Zyp BikeShare. A few times a year, the Woodland Street Market provides a venue for the community and local vendors to come together. Ali Casparian, a nutritionist and health coach, founded Bounty and Soul four years ago as a way to help people access healthier foods. 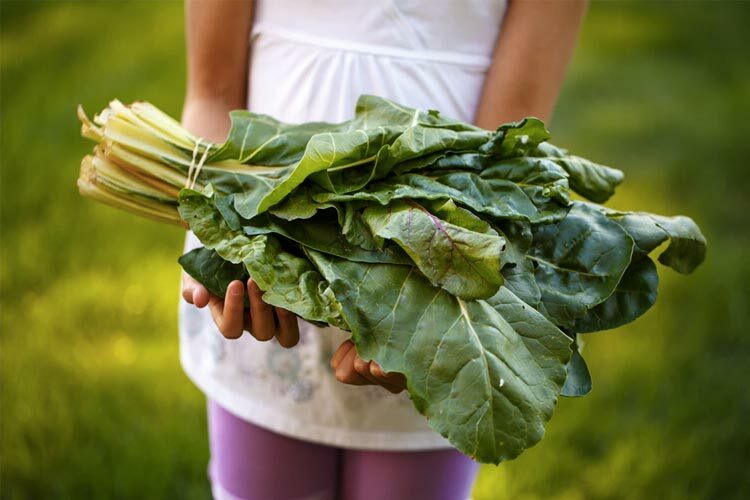 Bounty and Soul is focused on more than providing access to fresh food. Executive Director Bruce Ganger said the organization takes a full body approach to health and wellness. “It’s being able to provide, not just healthy food, but resources to actually live a better life,” he said. In addition to the five mobile farmers markets, visitors are invited to participate in yoga and Zumba classes. The Rooted in Health series offers nutrition and cooking classes on a range of subjects, including stress management and self-care. All of the food and classes are free for participants. With 150 volunteers, the mobile markets distribute around 7,500 pounds of produce and grain a week. Ujamaa Freedom Market – Asheville, N.C.
FeedMore’s Mobile Pantry – Richmond, Va.
Lowcountry Street Market – Charleston, S.C.
Chattanooga Mobile Market – Chattanooga, Tenn.
Grow Ohio Valley Mobile Farmers Market – Wheeling, W. Va.